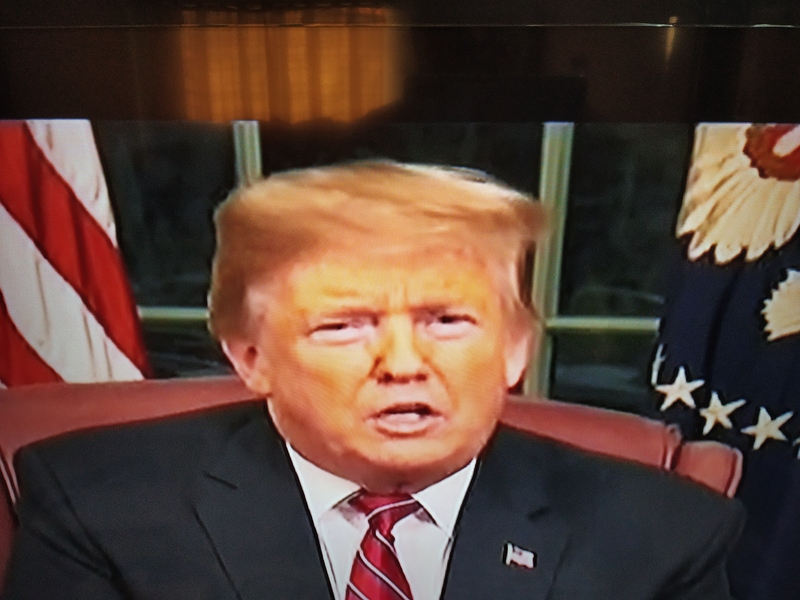 President Donald Trump may not have succeeded in influencing the minds and opinions of the American citizens or his political opponents with his 9 minute address from the Oval Office tonight (9 p.m. ET), but it must be admitted that he sent his intellectual conception and message of the border wall in a tone and language that many – be it American citizens, his aides, his supporters, his critics … – would pretty much understand and may even appreciate. It was a well delivered address even with factual incorrectness in arguments, but failing to counterbalance the lack of clear solutions or ideas. Nevertheless, it would surely have inspired his admirers. If the address does not make any impact, it is comparable to a situation where lack of supporting information enhancing the likelihood of foolishness. Such mistakes can arise when the leader loses all possible avenues of a conciliation for his goal. President Donald Trump possibly finds himself in such a situation. President’s opponents now have gained their grip, specially, after the mid term elections. Connecting with them emotionally is the new challenge to the President in governance now. People tend to judge progress on any issue based on the Commitment that the leader places on the issue, and the President for all the setbacks remains fixated on this “wall”. Like Sisyphus constantly pushing the rock up the hill despite failing, the President has been harping on the “wall” amidst all differences, setbacks, and strong opposition. He achieved this, effectively or otherwise, in his address today. President Donald Trump’s adherence to this position possibly symbolises his commitment prominently and gain some points in his battle for the “Wall”. Wednesday, January 9, 2019 – 11.49 a.m. (IST). Tidbit : ” If you wait to do anything so perfect that there will be all accolades and no complaints, you will not achieve anything “.